ACTIONS AND PERSONS THAT ARE INJURIOUS TO WHITES. That category does not exist today. Think how absolutely necessary that category is. When that excerpt was written in 2013, there was no category of ACTIONS AND PERSONS THAT ARE INJURIOUS TO WHITES. Whites and everyone else had been trained to think only of other races as being targets of racial attack. There was no name for the racial targeting of whites. Something must be given a name before it can be made fully visible and ushered into the realm of existence. 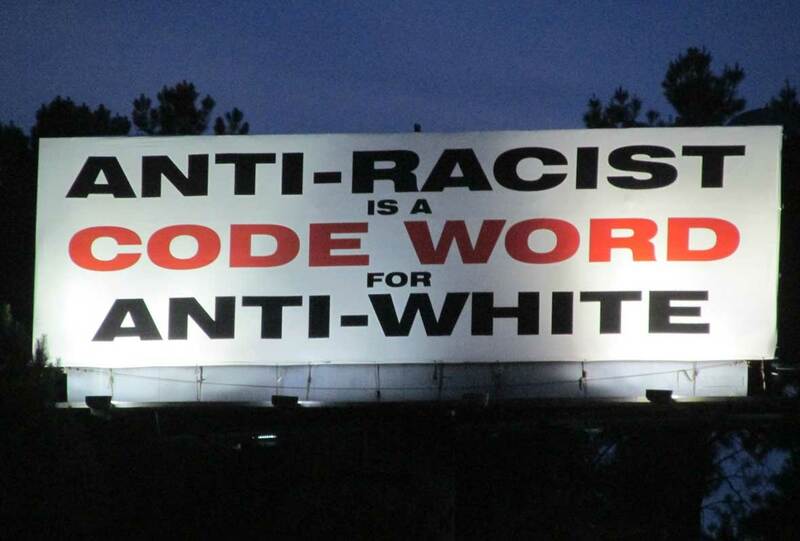 During the last few years, BUGS has hammered the name “anti-white” into the mainstream, where it now focuses whites’ understanding of attacks that are made against them because they are white. Anti-whitism and White Genocide had been taking place right in front of our faces. But both had no names, and so both were going virtually unnoticed, until BUGS yanked the veil off them by hammering their names into White consciousness. We repeated those names in the mainstream until they have now begun (we still have a long way to go) to have their effect in awakening the mass white mind and in shaping national discourse. 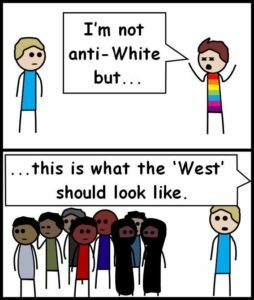 Call them what they are: “Anti-White”! Have anti-whites carrying out White Genocide snatched defeat from the jaws of victory? I hope you all get a chance to listen to my two new podcasts. I like to publish about 5 podcasts a week to keep things interesting and fresh. The point of the podcasts is to inject the terms ‘anti-white’ and ‘white genocide’ into the popular discussion. The format is simply to examine regular news items from the perspective of exposing ALL manifestations of anti-whitism and white genocide. Given this, there is no shortage of material to use in my podcasts. I like to think that I’m playing a part in replacing the current anti-white narratives with our own. Keep up the great work guys. Can’t wait for the next podcast. I knew at that point that the term “anti-White” was digging in deeply. I use the term EVERY day. And why shouldn’t I? It’s every day reality. The term anti-white is perfect, yet I admit when I am tweeting or making comments online, I can forget to use it. I will have to place a note next to my computer to remember to use it more often! “Anti-white” creates a new category: actions and persons that are injurious to whites. Here’s a comment made at American Renaissance to an article about Lauren Southern’s South African documentary “Farmlands.” The quote is from the beginning of the article. That still prevalent attitude is why we at BUGS worked so hard the last seven years or more getting the term “anti-white” into the mainstream. A film documenting systematic violence against whites is therefore a blow to the ruling orthodoxy. “Farmlands,” a new documentary about South Africa from Lauren Southern, is invaluable. I thought that second paragraph from the article worth including, since the film “Farmlands” should remove any doubt that anti-whitism exists. You mean in person? I have used the term Anti-White a few times in real world conversations. In person, most Normal Whites seem stunned by the word at first. As if such a concept never occurred to them, or is metaphysically impossible. That’s if I say it in a serious tone. If I make more of an offhand remark, like “I’m not gonna see that anti-White movie”, they tend to smile and accept it more easily. One person I referred to as anti-White got very defensive. He said he was White, his family was White, they were from the South, etc. I pointed out in a non-confrontational way that he was always taking the side which did harm to Whites. We left it like that (he is someone I have to be around occasionally, so I didn’t want a full fledged right). At least in that case, even delivered in an offhand manner to an actual anti-White, he reacted like I had tossed him a live hornets nest. Readers may want to see Anti-whites are down to their last words! Pro-whites are just beginning!